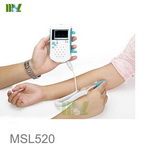 Handheld blood analyzer is one kind of our blood analyzer and even is really a bargain with high quality, If this could not feed your requirement, just see other blood analyzer such as portable blood analyzer, blood coagulation analyzer, blood pressure analyzer, blood lactate analyzer, blood cell analyzer, blood gas analyzer, veterinary blood analyzer, automated blood analyzer. 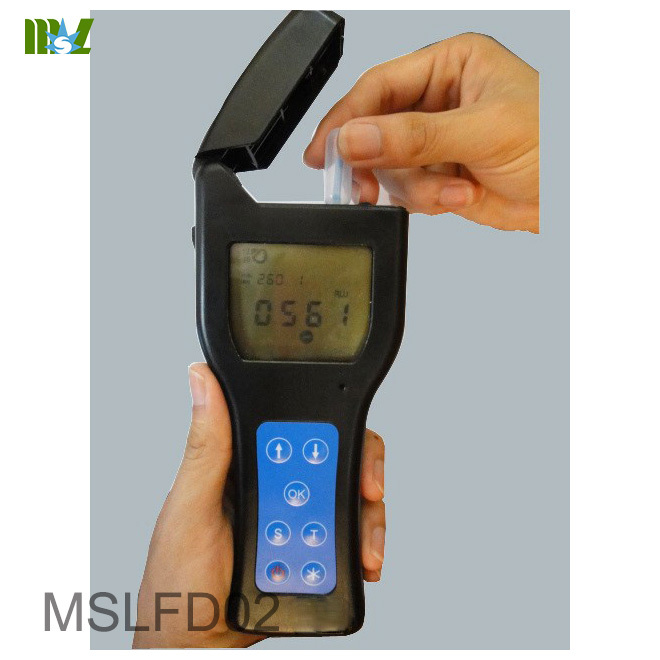 MSLFD02 ATP Fluorescence Rapid Detector for rapid detection of microorganisms in food and drinking water, rapid detection of tableware cleanliness, food processing equipment, worktops, food and beverage utensils and other disinfection results of rapid detection, medical environment work platform for immediate assessment. The device uses biochemical reaction to detect ATP content. When used, samples are collected with pre-wetted water swabs, and the ATP swab is wetted with buffer, which helps to extract the biological material (ATP) from a dry or moist surface. The swab contains a reagent that cleaves the cell membrane, which releases the intracellular ATP and reacts with the specific enzyme contained in the reagent to produce light. 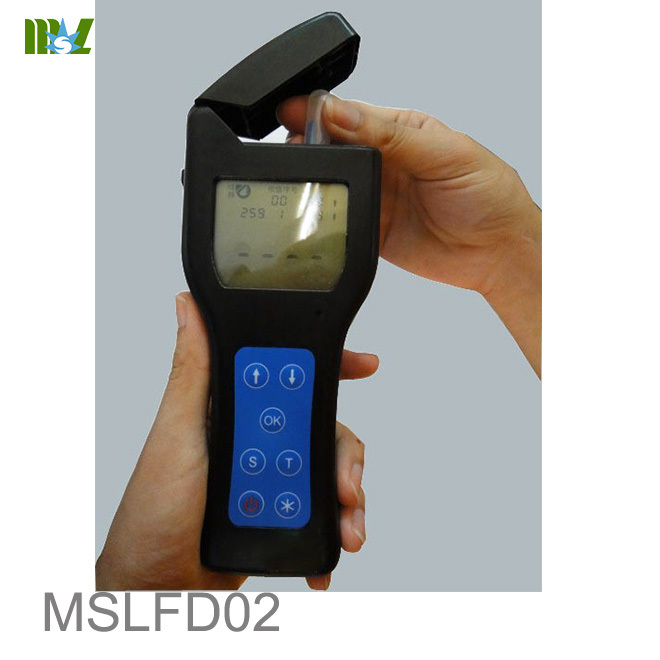 The luminescence value is measured by a fluorescence illuminance meter. The number of microorganisms is proportional to the luminous value. Speed - conventional culture method 18-24h or more, and ATP only need a dozen seconds. Feasibility - The number of microbes has a clear correlation with the ATP contained in the microorganisms. 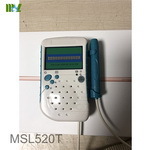 By detecting the ATP content, the number of microorganisms in the reaction can be obtained indirectly. Maneuverability - Traditional training methods need to be carried out by trained technicians in the laboratory; and the ATP fast cleanliness detection operation is very simple and can be operated by the general staff only by simple training. Production of the ATP fluorescence detector was the Ministry of Science and Technology "scientific and technological innovation projects"
2, the detection accuracy: 5 × 10-18mol / ATP? 1, ATP fluorescence detection swab using a dedicated sample collection and response integrated rapid detection device, supporting the use of ATP fluorescence detector. 2, the detection of swabs using the world's leading liquid stabilization reagents, more easy to use, to provide a more accurate, light-emitting signal longer and repeat the better test results. 3, can be stored for a long time cold. 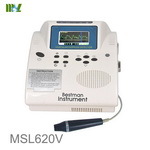 4, can detect dry surface and liquid samples. 5,15 seconds to get the test results. 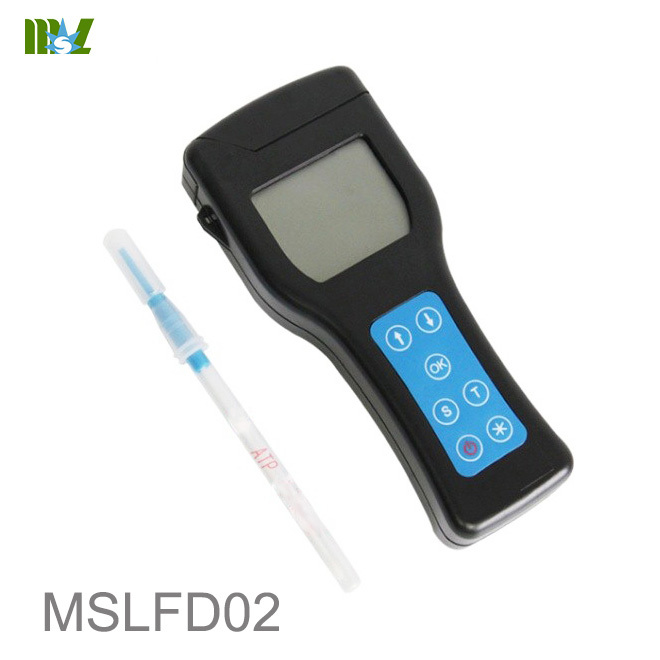 6, applicable to all kinds of domestic, imported ATP fluorescence tester. 7, the only one independent research and development production of ATP fluorescent swab, the price is only half of imported ATP swab. 8, the results of good reproducibility, high reliability, environmental design.